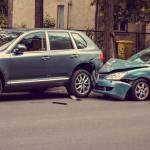 What Does it Mean to Have Full Coverage Auto Insurance in FL? You pay your car insurance premiums faithfully and on time. In exchange, you have the reasonable expectation that your insurance company will have your back in the event of property damage or an accident. Unfortunately, not even full coverage car insurance always pays your balances in full after an accident. Do motorists have any other form of recourse after a crash? 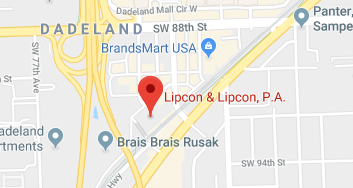 Can a car accident law firm in Miami help? What Does Full Coverage Mean in Florida? Personal Injury Protection. No-fault states generally require this provision. It will cover $10,000 in medical bills and lost income (combined) related to an accident. You use your Personal Injury Protection coverage regardless of who is at fault for an accident. Property Damage Liability. This covers damage to another person’s vehicle when you’re at fault for an accident. Florida law requires at least $10,000 in coverage. Bodily Injury Liability. This provides protection in the event you are the cause of someone else’s injuries or death. An uninsured motorist policy. This provides compensation when you become involved in an accident with a driver without insurance. Collision coverage. This compensates for property damage to your vehicle, regardless of who is at fault. Medical Payments coverage may cover parts of your medical bills that are not covered by your PIP. Comprehensive coverage, which covers damage resulting from something other than a motor vehicle crash. In other words, “full coverage” may not amount to much. For example, full coverage will not compensate you if your medical bills exceed $10,000 or if you become involved in an accident with uninsured or underinsured motorists. Therefore, while you may pay your insurance premiums on time, there is no guarantee that your policy will fully compensate for your injuries. If you’re unsure of your amount of coverage, call your insurance company. We recommend that in addition to PIP and property damage liability, you carry insurance for bodily injury, comprehensive, collision, and uninsured drivers. What if you’ve already been in an accident and you’ve discovered your insurance policy won’t pay for your medical bills? Florida law allows victims of negligence to file personal injury lawsuits when their injuries or damages pass a certain threshold. Sometimes, a personal injury suit makes more sense than accepting an insurance payout. Talk to a car accident attorney about your options and see if filing a claim is right for you. In short, full coverage may not always be as comprehensive as you think. There are several other types of insurance to consider if you want to adequately protect yourself on Florida’s roadways. Your insurer can help you decide on the best policy based on your needs, budget, and market value of your vehicle. Get the amount of coverage you need to achieve peace of mind.